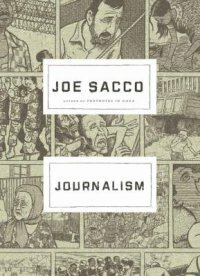 "This volume collects most all the shorter reporting pieces I have done over the years for magazines, newspapers, and book anthologies. As such, it seems to call for some sort of introductory fusillade to rout all those who would naysay the legitimacy of comics as an effective means of journalism"-- P.
A journalistic collection in comic book format from the sid3elines of wars around the world includes articles on the American military in Iraq, the Caucasus widow trials, the dilemmas of India's "untouchables," and the smuggling tunnels of Gaza. New York : Metropolitan Books/Henry Holt and Co., 2012. Description: xiv, 191 p. : chiefly ill. (some col.) ; 28 cm. Military history, Modern -- 20th century -- Fiction. Military history, Modern -- 21st century -- Fiction. War and society -- Fiction.